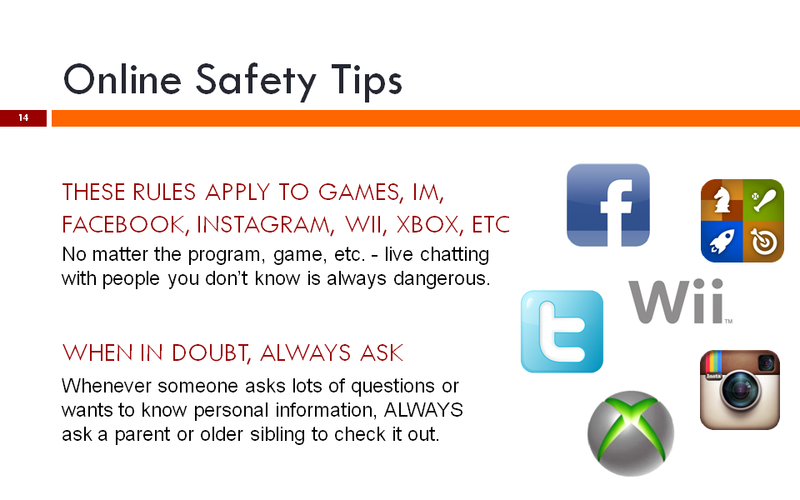 What parents need to know before letting their kids online. 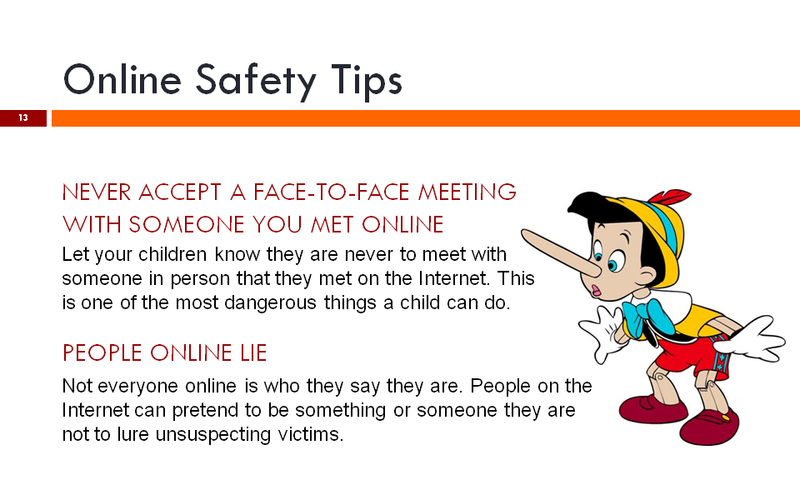 Most parents acknowledge that unrestricted Internet access can be dangerous for children. But few realize just how dangerous. It’s shocking to learn just how many households leave unrestricted computers, iPads, gaming consoles, etc. laying around for their kids to explore. 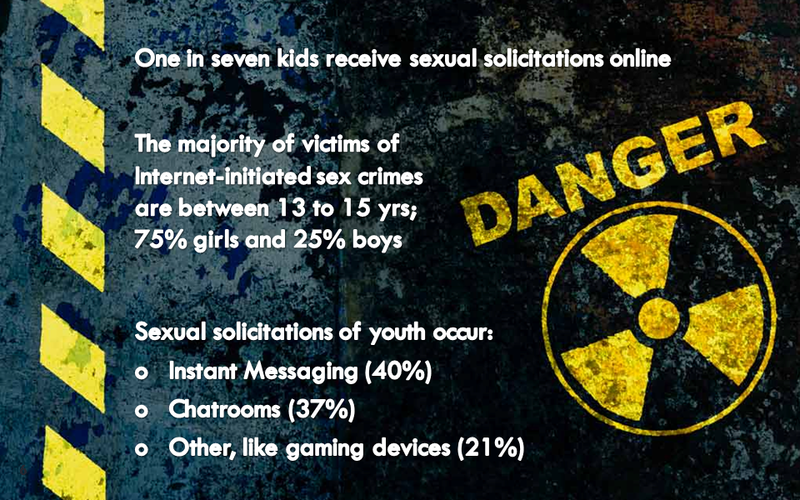 For the sake of my kids, I thought I’d post some of the scariest stats I’ve found on the topic. Perhaps this will help get more families to consider installing filters and locking down their iOS devices to protect their own kids (and mine/yours when they’re visiting). And finally, to bring it all home, let me share a much more personal example. This is an actual email my daughter received from her 12 year old friend. Yes, this stuff can happen to anyone! Let that one sink in for a bit. This was a huge wake-up call in our house. After reading this email, these weren’t just scary stats anymore. It quickly became a sickening reality. This happened while playing chess. All those cute iPods you’ve “locked-up” by turning off the Internet browser? Yeah, they’re still a dangerous link to pedophiles if you have something as simple as a chess game that has a chatting option. This happened to a girl right here in our neighborhood. Just because we live in one of the safest suburbs in the nation, all a sexual predator needs is a tiny pipeline into your Internet enabled devices to reach your kids. Within minutes of my daughter reading this, my wife had also read it and was reaching out to the girls’ parents. Our kids’ email is set up to send copies of everything they send and receive to Mom. 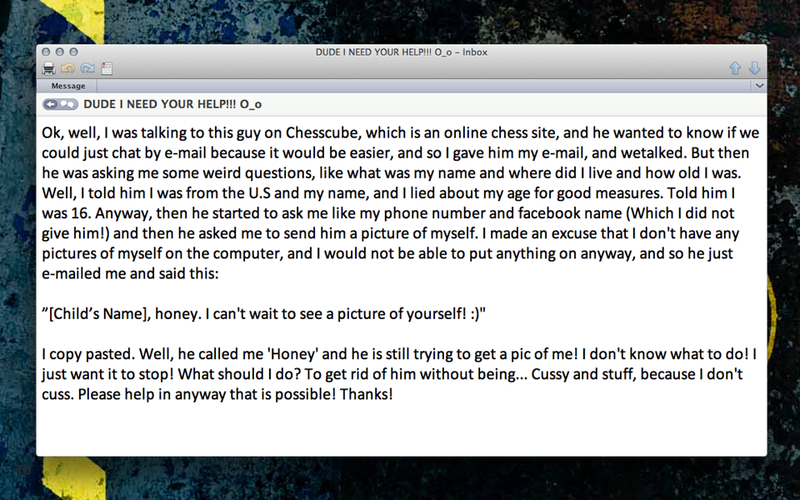 This friend did some dumb stuff, but ultimately, she knew enough to reach out for help. 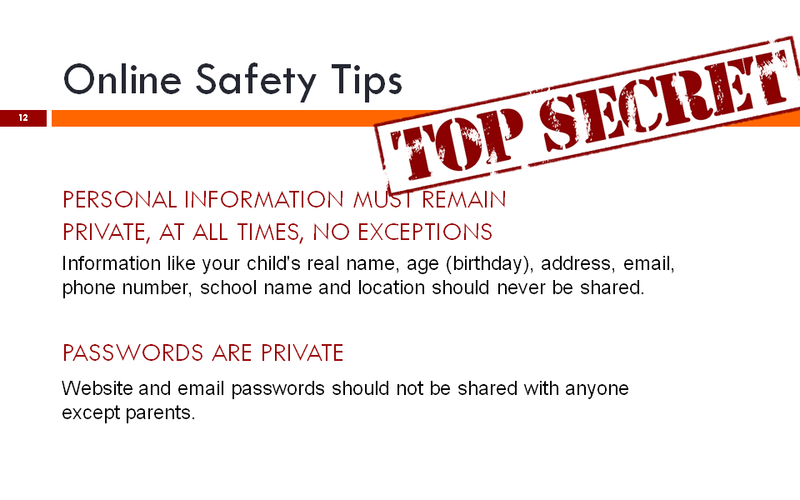 Regardless of all the tools and settings and precautions we take, the most important one is teaching your kids the following important online safety tips.